Illustrations in The Autocar magazine see 29th September 1933. 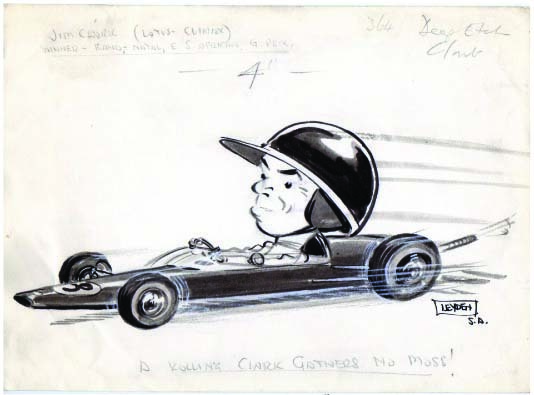 Also Autocar 12th January 1962 for caricature of Jim Clark and Trevor Taylor.. Is this the same person? By 1962 living in South Africa.